Heavy-duty vinyl separates Seattle Sports Frost Pak coolers from the rest of the pack. Frost Paks are engineered for higher thermal efficiency and a longer life span than regular soft-sided coolers. Aluminized air cell insulation reflects heat away from the cooler and traps cold air inside. Heavy-duty vinyl separates Seattle Sports Frost Pak coolers from the rest of the pack. Frost Paks are engineered for higher thermal efficiency and a longer life span than regular soft-sided coolers. Aluminized air cell insulation reflects heat away from the cooler and traps cold air inside. 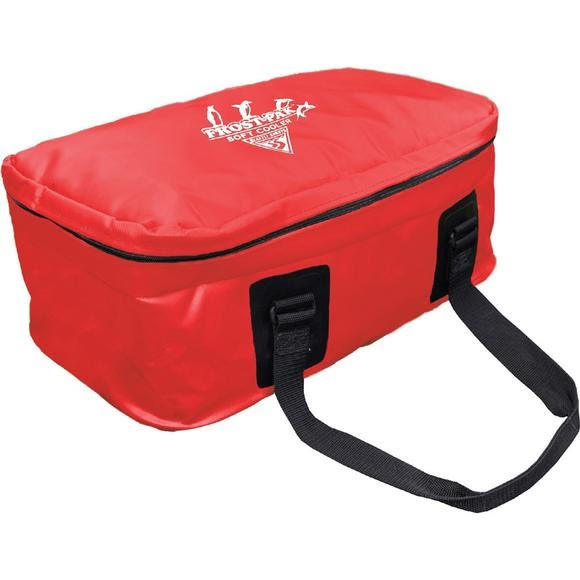 Our expedition proven coolers feature a waterproof liner that prevents ice melt from penetrating insulation and are waterproof up to the zipper. The volume of the 19 quarts is specifically designed to be perfect for a day excursion or hike. Lightweight and durable with easy transportation makes it an obvious choice when going on that rafting or floating trip down the river.